We recently moved into our newly renovated house. New home, new comforters... We've both been in desperate need of new comforters but we were holding out until we moved into our new house for a fresh start. 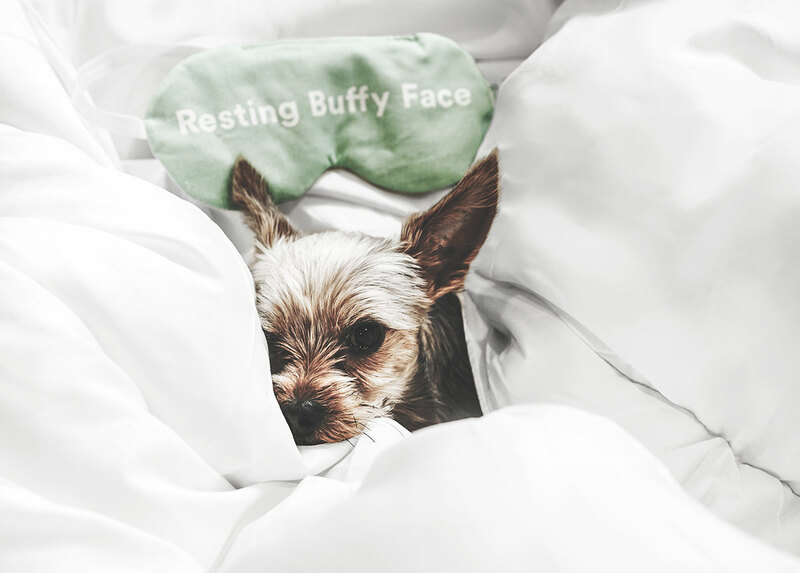 We stumbled upon Buffy on social media and were immediately intrigued. Water Waste: Buying a comforter with cotton fabric isn’t like buying a t-shirt. The average queen comforter needs 100 square feet of cotton fabric - which in turn needs 1000-3000 gallons of water to grow. Each year, Americans waste 20 billion gallons of water to grow the cotton in the comforters we buy. Animal Cruelty: The typical 2 pounds of down required to fill a comforter means a dozen birds were live plucked. The industry live-plucks over 4 million birds a year (eventually sending them to slaughter). Buffy's mission is to make comfy products using innovative materials and design. Allergy safe, gentler than cotton, made sustainably and cruelty free. Instead of cotton, Buffy opts for silk-soft natural eucalyptus fibers. The comforter's natural eucalyptus shell fabric is chemical-free, hypo-allergenic and gentler on our skin than cotton. Eucalyptus' natural properties and a high thread count fabric work together to keep Buffy clean of bacteria, mildew and mites. 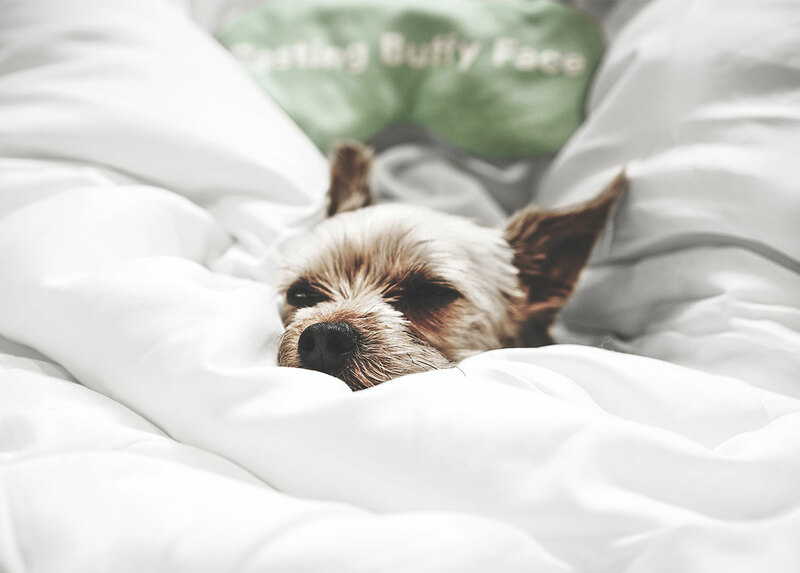 Instead of down, Buffy has created its own rejuvenated microfiber. Its actually made seven times finer than an eyelash (so it’s lighter AND softer than down). 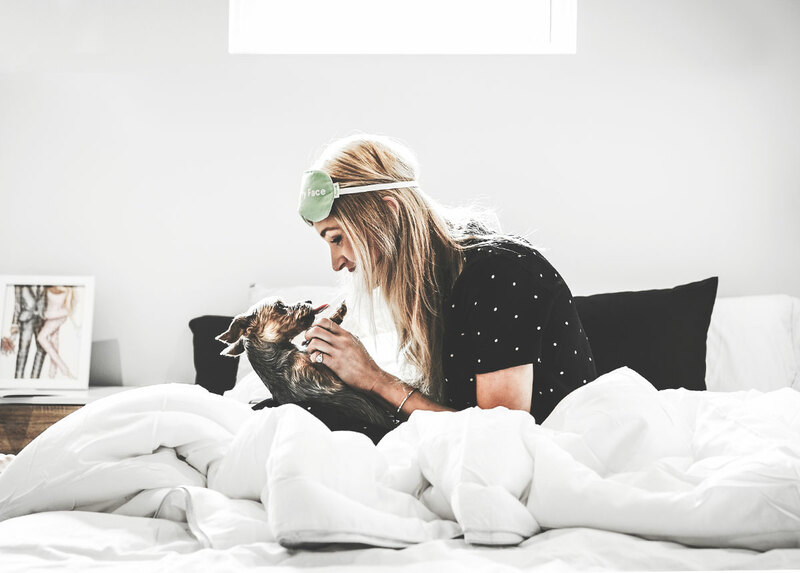 Unlike traditional down or down alternative comforters (which are designed only to trap heat), the Buffy comforter uses natural volcanic minerals to "breathe" out any unwanted, extra heat and moisture. This is the hook that got us to try Buffy with confidence — Buffy let's you sleep with their comforter for a 30 night trial before they charge your card. If you choose to keep it (pretty sure you will), then your card will be charged. This may be the coolest business model we've ever seen!! How many times have you purchased a comforter online, only to find out that its not as soft as you wanted, or the quality isn't what you expected? Yeah.. me too.. lots of times. SO kudos to Buffy for believing in its product enough to give its customers a trial option! We appreciate you, Buffy. I've never been able to use a down comforter because of my allergies (and my husband's allergies are even worse than mine)... so when I read that Buffy comforters were hypo-allergenic, I was sold. I love to sleep. Its one of my favorite hobbies. I like my bed to be extremely soft, fluffy and cloud-like. Needless to say, Buffy got me hook-line-and-sinker with their marketing (just look at their site for a minute). Based on everything I saw, I REALLY WANTED TO LOVE BUFFY. Buffy came in a fairly compact box, with the comforter itself vacuum sealed so its hard to tell how fluffy it is when you just look at the box. When I opened it, I was immediately distracted by the adorable packaging AND the little extras in the box [check the video at the bottom of the post for a peek inside the box]. I wasted little time and ripped open the bag to let Buffy breath... He came to life pretty quickly and it took me about 5 seconds to conclude that it was indeed the softest comforter I've ever felt. A week later, I can honestly say that Buffy is everything I wanted it to be: soft and fluffy, warm but also breaths nicely (this is VERY important when you have a night-sweater husband), bright and clean, AND Jeffrey Campbell the Dog is weirdly obsessed with it (which may or may not be a good thing because he has a tendency to destroy comforters — BUT Buffy has survived week 1 unscathed, so maybe this is the comforter that will live forever in our household). Sleep is insanely important to me! Quality sleep and a good night's rest is invaluable – it makes or breaks my productivity for the next day. Like most things in life, I think of the bed as the foundation for a good night's rest. If the bedding isn't just right (aka fluffy, lightly weighted, ultra soft, providing the perfect amount of warmth), I might as well chalk the night's "sleep" up to a loss! I have waited a long time, too long, to invest in a new comforter until Buffy. Buffy's description spoke to me – especially my issues with heat trapping inside my old comforter – and I knew I had to try it! I've only been using my Buffy comforter for a week - but I can honestly say I've NEVER SLEPT BETTER. Not to mention, the weather has been insanely humid and overcast here in Dallas, which usually disrupts my sleep, but I have slept more comfortably than ever. 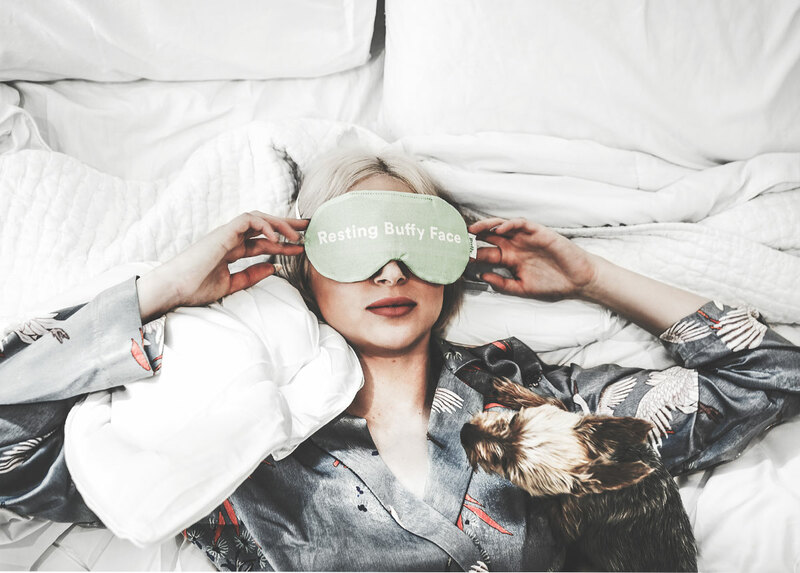 Imagine the best hotel bed you've ever slept in and then multiply that experience by at least 2 and you've got yourself a Buffy's night sleep :). I luv it soooo much. Code can be used on both TRIALS and PURCHASES of any size, you will not receive the reward until the Buffy is purchased (outright, or at end of trial). This code will expire at the end of April 2018.